* When I went into the store, I asked for a preshave product and this is what I was pointed to. * The consistency is a little off-putting – feeling almost like congealed animal fat – thicker than a gel, but not completely solid. * Trying it with different shave soaps/creams, it simply improved every product I used it with. * Only a small amount is necessary, so the 50 ml jar lasted me nearly an entire year. Summary: Last year, before I went to Paris, a fanatical wet shaving friend gave me a list of products to pick up for him. 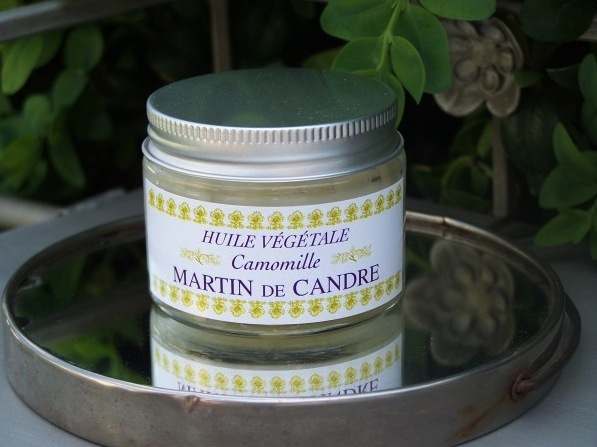 Martin de Candre is a traditional family-owned soap making business that has been in operation for 40 years. Their products are very difficult to find in the US and even a challenge to find in Paris (don’t bother with department stores – go directly to Planete Rasoir). Although the texture of the product is a bit strange, it is one of the best products that I have ever used. Reading the ingredient list and doing some research online (thank you Timothy on Badger and Blade) – it is a mix of coconut oil with propylene glycol and chamomile. It is quite slick and works as an amazing preshave. It also works as an aftershave and is usually sold as such as well. I have normal to dry skin so it works really for me. If you have oily skin, it might be too slick for you. It’s also one of the first products that I have run completely out of. Keeping it in my bathroom closet, I found myself reaching for it with every shave. The simplicity of its composition seems to make it even more decadent. The chamomile smell is slight and will not fight with any cologne that you might put on over it. I will definitely be buying another jar of it when I go to Paris this year. Martin de Candre products are available from the Martin de Candre website and Planete Rasoir. Disclaimer: No disclaimer needed as I own a full bottle. Image courtesy of Martin de Candrew website.